The protection of your Motorola Droid Turbo 2 cell phone is vital to keeping your phone functioning properly. Things like cracks and dents can not only destroy the exterior, but may also damage the interior to your phone. With a Motorola Droid Turbo 2 Wallet Case , you get a style that fits your personality and a cover that will guard it from danger. Create a combination of sophisticated style and protection using this Motorola Droid Turbo 2 Wallet Case. Safely carry your Droid Turbo 2 phone with this secure flip. Made of premium textured hard plastic back with high quality PU leather coated front cover for durability and classic good leather look and feel. The interior is lined with soft anti-scratch material that protects your phone from further bumps and scratches. Compact, durable and lightweight, with all phone features accessible, including all ports, buttons and camera. • Textured synthetic leather finish adds a distinct and sophisticated feel. Lanyard included. 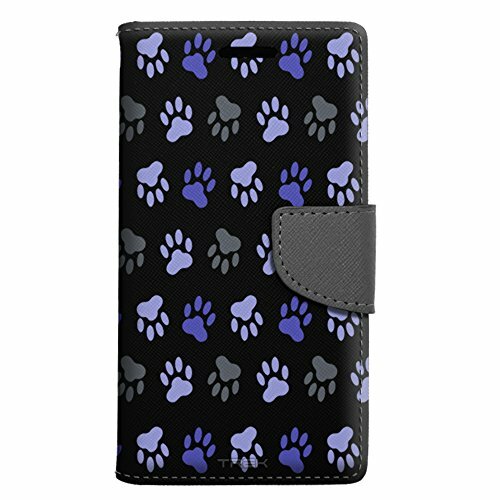 • Perfect Fit for the Motorola Droid Turbo 2 phone. • *** Please note: The Motorola Droid Turbo 2 phone is not include. Textured synthetic leather finish adds a distinct and sophisticated feel. Lanyard included. Built-in TPU snap-on case keeps your Motorola Droid Turbo 2 securely in place. Precise cutouts allow quick access to all ports, buttons and camera hole. Magnetic closing flap keeps the front cover safely closed, ensures your valuables are hidden, safe and secure. Multiple card slots. Perfect Fit for the Motorola Droid Turbo 2 phone. *** Please note: Motorola Droid Turbo 2 phone is not include. If you have any questions about this product by TrekCases, contact us by completing and submitting the form below. If you are looking for a specif part number, please include it with your message.